Like Gregor, when talking to people I feel social anxiety with, my voice sounds different out loud than I hear it in my head. It comes out low and mumbled, and people often have difficulty hearing and understanding me. Also like Gregor, I often wish I could say more and elaborate, but usually resign myself to give one-word answers to end the conversation as quickly as possible. “Yes, I know”, said Gregor to himself; but without daring to raise his voice loud enough for his sister to hear him. Another example of Gregor wanting to talk, but being unable to. I’ve felt the same way. I would also stay in my room to avoid social anxiety. And whenever someone would ask me questions, I’d only say “yes” or “no” as an answer. When I feel social anxiety and try to talk to people, I usually stutter or mumble or take long pauses between words. I feel like I can’t speak like a normal person. So they couldn’t understand his words any more, although they seemed clear enough to him, clearer than before – perhaps his ears had become used to the sound. I could speak to myself so fluently inside my head, and I would sometimes practice fake conversations. But then when it would come time to talk to someone out loud, I’d always freeze up, and I was never able to speak as fluently as I had planned in my head. Gregor feels a sense of relief to be alone in his room, away from his work and his family. I’d also feel relief from social anxiety when I was alone, away from people and noise. …for the time being he must remain calm, he must show patience and the greatest consideration so that his family could bear the unpleasantness that he, in his present condition, was forced to impose on them. Gregor has low self-esteem, feeling he is a burden on his family because of his transformation. I’ve often felt similarly ashamed about my social anxiety. That I was letting my family down by being so shy and failing to have more success in my life and career. I believed that my family wished I wasn’t so anxious and shy and was more outgoing and “normal”. …nobody could understand him, nobody, not even his sister, thought that he could understand them, so he had to be content to hear his sister’s sighs and appeals to the saints as she moved about his room. The worse my social anxiety got, the less other people tried talking to me. They seemed to think that I would never talk to them, even though I could. If Gregor had only been able to speak to his sister and thank her for all that she had to do for him it would have been easier for him to bear it; but as it was it caused him pain. Gregor is unable to speak to his sister after his “transformation”. He’s unable to speak literally because he is an insect, and figuratively, because of his social anxiety. I have three sisters of my own. I used to be completely comfortable and talkative with them, but as I got older and my social anxiety worsened, I was unable to talk to them like I used to. It frustrated me. I wished I could talk to my sisters like I used to, but I was unable to because of my social anxiety. Another example of Gregor’s low self-esteem and his believing that his family found his “transformation” or “social anxiety” unbearable. …the lack of any direct human communication, along with the monotonous life led by the family during these two months, must have made him confused… Had he really wanted to transform his room into a cave, a warm room fitted out with the nice furniture he had inherited? That would have let him crawl around unimpeded in any direction, but it would also have let him quickly forget his past when he had still been human. In this passage, Kafka insightfully verbalizes the contradictory feelings of social anxiety that I’ve often felt myself. When I’m alone, I long to be with friends and family, but then when I actually am with them, my social anxiety drives me away, back into isolation. …that was the first word she had spoken to him directly since his transformation. Gregor was physically unable to speak because of his transformation, but during that time, his sister had also stopped talking to him. For me, social anxiety isn’t just about me not speaking to people, it’s about people not speaking to me. The more socially anxious I became, the less people in my life attempted to try to talk to me, which in turn made me even more socially anxious. Gregor becomes more insect-like as his anxiety grows and his self-esteem shrinks. If the metamorphosis represents social anxiety, then it makes sense that as Gregor’s transformation progresses, or his social anxiety worsens, then he becomes more anxious and self-critical. Another example of the confused contradictory nature of social anxiety. You want to get away from your family and other people, but at the same time, you don’t want to be completely neglected by them. A common feeling among people with social anxiety. Because I am so quiet, I often blend in at places (school, work, lunch/dinner tables, etc. ), and people never even notice I’m there. “…let’s give thanks to God for that”. Gregor’s father’s words after Gregor dies. You can’t get much lower self-esteem than thinking your own family will be happier if you were dead. I’ve never felt that low, but I have sometimes wondered if anyone would notice if I died. 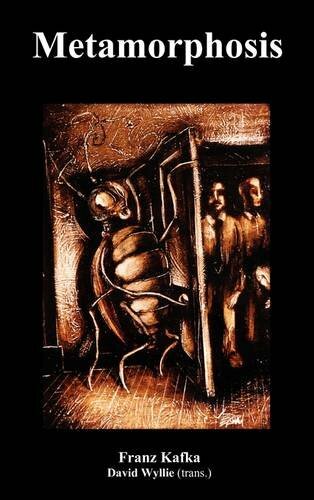 From the text of The Metamorphosis alone, the character of Gregor Samsa shows several signs of social anxiety. Gregor stops speaking and isolates himself from his family and the rest of society. We get inside his head and hear some of his inner thoughts, many of which are negative. Gregor clearly has low self-esteem, and he believes that his family thinks just as lowly of him as he does himself. 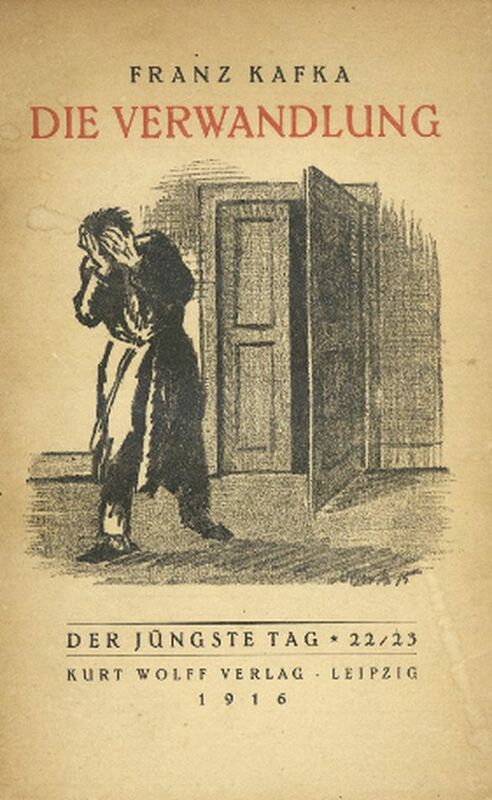 Add that to the knowledge that Franz Kafka suffered from social anxiety in his personal life, and it provides for a strong case that Gregor’s transformation into an insect is a metaphor for a person developing social anxiety. While I think Kafka may have been at least partially writing about his social anxiety in The Metamorphosis, I think he was also writing about something else that he had been struggling with in his personal life: his writing itself. To pursue his career as a writer, Kafka needed to quit his job and isolate himself from his family. Once he did that, and he was no longer providing for his family financially, they saw him as a pest, or a bug if you will, and they no longer wanted anything to do with him. 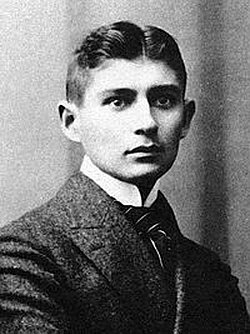 Kafka’s father especially disapproved of his writing career— a career that Kafka never saw much success from during his lifetime. I think Kafka was primarily writing about his life as a writer in The Metamorphosis, but in many ways his writing and social anxiety were interlinked. As a writer with social anxiety myself, I can relate to Kafka’s feelings. When you have social anxiety, you shy away from interaction with other people, and in order to write, you need quiet isolation as well. But the more time you spend writing in isolation from society, the worse your social anxiety gets. Because The Metamorphosis isn’t explicitly about social anxiety and is instead told as a metaphor, the meaning of the story is ultimately open to interpretation. Different people get different things from Gregor Samsa’s transformation, but neither them nor myself is necessarily right or wrong. I might just be seeing The Metamorphosis as a story about a writer with social anxiety because I’m a writer with social anxiety. Then again, so was Kafka. This entry was posted in Authors, Social Anxiety and tagged Franz Kafka, Gregor Samsa, social anxiety, social phobia, The Metamorphosis, The Transformation, writing on May 7, 2015 by T.Z. Barry. Pingback: 12 Kafka Quotes that Explain Social Anxiety | Tim Barry Jr.
Pingback: Social Anxiety in Movies | Tim Barry Jr.
Pingback: I am Invisible: A Short Story | Tim Barry Jr. I recently came across the idea of “Metamorphosis” presenting a metaphor for social anxiety/depression in the book ‘Reasons to Stay Alive’. I then searched it up and found this! I’ve never thought of it in this way before and it’s really interesting, especially because I struggle with social anxiety as well. Thanks. I haven’t read that book. I’ll have to check it out.